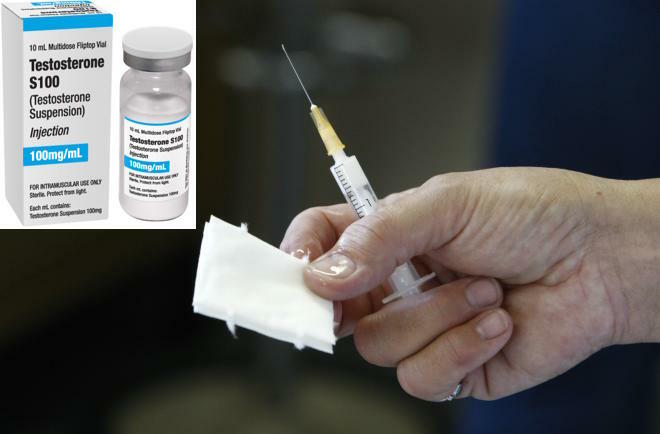 Testosterone therapy by Shots and Gel Protects Men With Coronary Artery Disease from Heart Attack Risks. Though this may be normal, some men feel the effects more strongly than others. Low testosterone levels may contribute to depression, decreased bone density, increased body fat, insomnia, and diminished sexual desire. Read more: Testosterone therapy by Shots and Gel Protects Men With Coronary Artery Disease from Heart Attack Risks. 'Marijuana receptor' might hold the key to novel fertility treatments for men. 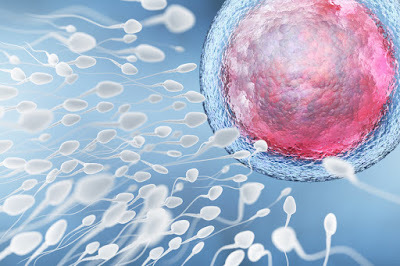 Scientists have shown that a cannabinoid receptor, called 'CB2,' helps regulate the creation of sperm. Not only does this provide more evidence that marijuana can disrupt fertility in males, but it also suggests a therapeutic strategy for treating male infertility. In a research report appearing in the April 2016 issue of The FASEB Journal, scientists show that a cannabinoid receptor, called "CB2," helps regulate the creation of sperm. 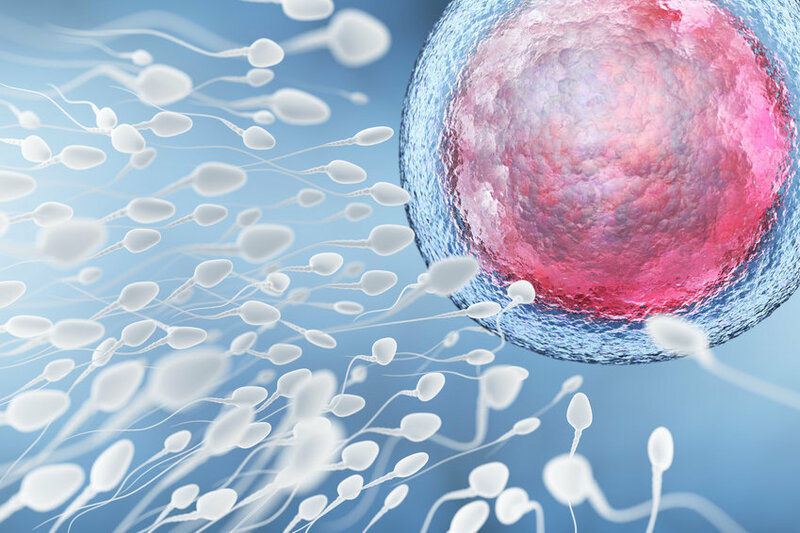 Not only does this provide more evidence that marijuana can disrupt fertility in males, but it also suggests a therapeutic strategy for treating male infertility. "The possibility to improve male fertility is one of the main focuses of this study, since infertility is a worldwide problem that affect up to 15% of couples in which male factors account for almost 20-70%," said Paola Grimaldi, Ph.D., a researcher involved in the work from the Department of Biomedicine and Prevention, School of Medicine at the University of Rome Tor Vergata in Rome, Italy. Illustration of sperm and egg cell. Sugar addiction could be A Form Of Drug Abuse. Sugar-addicted rats were successfully treated with a smoking cessation drug, according to new research. A spiral into years or a life of drug abuse can be mentally and physically destructive, but what if sugar addiction reaped the same consequences? 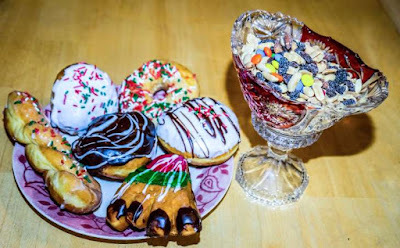 Amid the United States obesity epidemic — as well as increasing rates of diabetes and heart disease — researchers are beginning to see sugar addiction in a new light: as something nearly as damaging to health as drug dependence. In a new study out of Queensland University of Technology (QUT) in Australia, researchers suggest that in the future, sugar addiction may be treated the same way as drug addiction. Their research showed that rats addicted to sugar could be treated with nicotine addiction drugs. Like alcohol and drug addiction, consuming high levels of sugar increases dopamine levels and activates the same reward pathways in the brain. Read more: Sugar addiction could be A Form Of Drug Abuse. as a result, our tolerance for sweets has gotten higher and contributed to obesity and diabetes. Apolipoproteins - Novel perspectives and other challenges. Atherosclerotic cardiovascular diseases (CVD) are the leading cause of death in the West, and dyslipidemia is considered to be one of their key risk factors. The majority of CVD cases could be prevented by effective management of dyslipidemia. 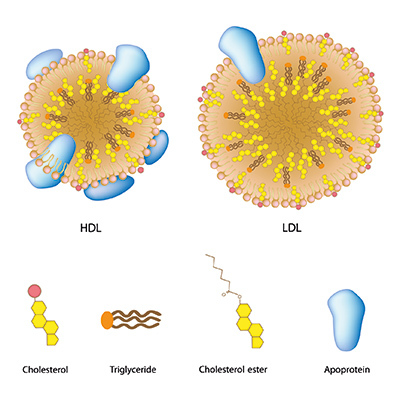 The use of new biomarkers like apolipoproteins as part of extended lipid profiles may be among the most significant new tools for such a task. Dyslipidemias cover a broad spectrum of lipid abnormalities. Clinicians have so far paid maximum attention to elevated levels of total cholesterol (TC) and low-density lipoprotein-cholesterol (LDL-C). Many other types of dyslipidemias, however, also appear to enhance the risk of CVD. 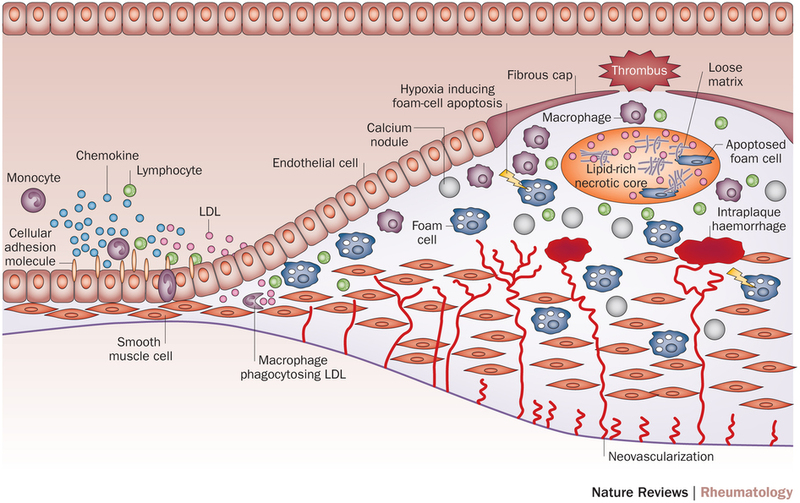 Lipid metabolism can become imbalanced or disturbed in several ways, resulting in changes to plasma lipoprotein function and thereafter to the development of atherosclerosis. Many patients who have high cardiovascular risk still have unfavorable lipid profiles. 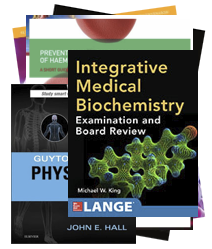 Given the fast-growing interest in lipidology, clinicians have sought ways to apply evidence-based medicine daily in dyslipidemia management. There are several lipid guidelines from professional societies in different parts of the world to diagnose and make assessments of dyslipidemia. In recent years, both Europe and the US have witnessed revisions in CVD guidelines and in the approach to lipid profiling. One major new area of attention is the role of apolipoproteins. Read more: Apolipoproteins - Novel perspectives and other challenges. 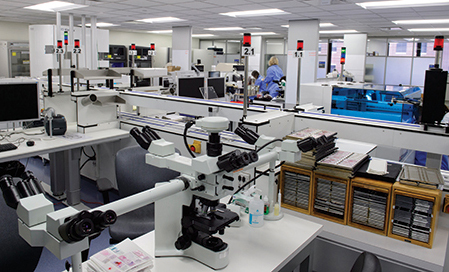 In spite of some exceptions, the clinical microbiology lab has been a late starter as far as automation is concerned. It has also traditionally been viewed as ‘low tech’, especially when compared to its cousins in clinical chemistry or pathology. A variety of factors, however, have been converging to reverse such a situation. One of the most important barriers to the automation of a clinical microbiology lab is process complexity. Unlike hematology or chemistry labs, which have little diversity in specimens and generally use standard collection tubes, microbiology laboratories need to work with a vast range of specimen types in a multitude of transport containers. The complex nature of specimen processing and culturing and the ensuing lack of standardization have been major deterrents to automation. Nevertheless, growth in the presence of automated technologies in clinical microbiology labs is now expected to accelerate as a result of several factors, above all rising demand. This requires agility and high responsiveness, making automation indispensable. Aging populations with more-complex diseases and conditions require a growing number of tests - for example, to monitor implants and prosthetic devices for infections. The elderly also need greater care in medicating, since they are more prone to adverse drug events. This high degree of specificity extends down to the deepest levels of brain organization. 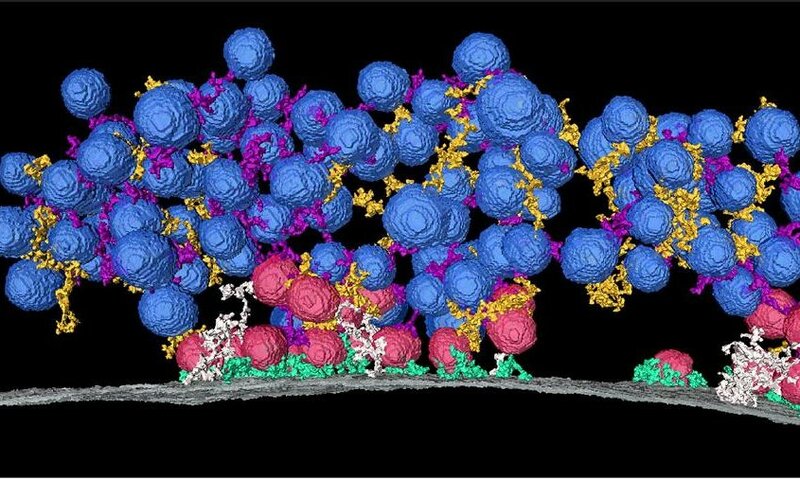 Just beneath the membrane at the nerve terminal, synaptic vesicles store neurotransmitter molecules, and await the arrival of a nervous impulse, whereupon they fuse with the membrane and release their contents into the synaptic cleft, the miniscule gap at the junction between nerve cells, and diffuse across it to bind to receptor protein molecules embedded at the surface of the partner cell. vesicles in the nerve terminals of excitatory synapses in the rat hippocampus. Gut microbes regulate nerve fibre insulation. Far from being silent partners that merely help to digest food, the bacteria in your gut may also be exerting subtle influences on your thoughts, moods, and behaviour. And according to a new study from researchers at University College Cork, your gut microbes might affect the structure and function of the brain in a more direct way, by regulating myelination, the process by which nerve fibres are insulated so that they can conduct impulses properly. 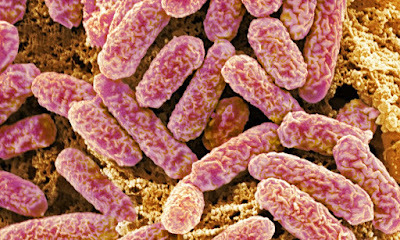 The surprising new findings, published today in the journal Translational Psychiatry, provide what is perhaps the strongest evidence yet that gut bacteria can have a direct physical effect on the brain, and suggest that it may one day be possible to treat debilitating demyelinating diseases such as multiple sclerosis, and even psychiatric disorders, by altering the composition of the gut’s microbial menagerie in some way or another. Gut microbe research has exploded in the past 10 years, and in that time, it has become increasingly clear that there is a two-way line of communication betweengut bacteria and the brain. The human gut microbiome seems to play important roles in health and disease, and alterations in its composition have been implicated in a wide range of neurological and psychiatric conditions, including autism, chronic pain, depression, and Parkinson’s Disease, although the links still remain somewhat tenuous. Read more: Gut microbes regulate nerve fibre insulation. 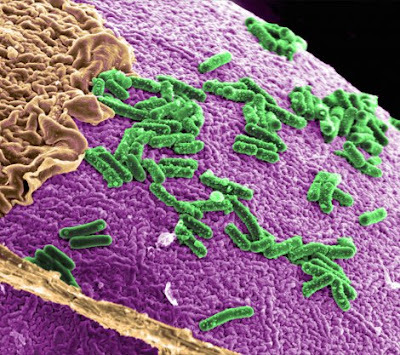 Scanning electron micrograph showing E. coli bacteria. FDA approves 'Inflectra', a novel drug saving the US billions of dollars. The US Food and Drug Administration (FDA) just approved a version of Remicade, a drug used to treat autoimmune diseases like Crohn's disease and rheumatoid arthritis. The drug, developed by Celltrion and which will be co-marketed by Pfizer, goes by the name "Inflectra." 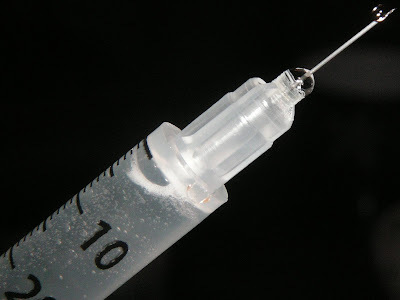 It's a form of infliximab, but will carry the suffix "-dyyb" to differentiate itself. This is the second "biosimilar" to be approved by the FDA. The drug is called a biosimilar because it is like a generic version of a biologic medication, a medicine produced by living cells. But it's a bit more complicated than that. Unlike generics for chemical-based drugs — think antibiotics or birth-control pills — that can be interchangeable with branded versions, the copycats of biologic medications, produced using living cells, have a few more caveats. That's because the drugs might have different reactions in your body. Read more: FDA approves 'Inflectra', a novel drug saving the US billions of dollars. Read more: What is Cancer? Normal cells may become cancer cells. Doctors are over-diagnosing children asthma. Doctors are overdiagnosing asthma, with inhalers frequently dispensed for no good reason, to the point that they have "almost become a fashion accessory," argue two leading respiratory doctors in a leading article published online in the Archives of Disease in Childhood. 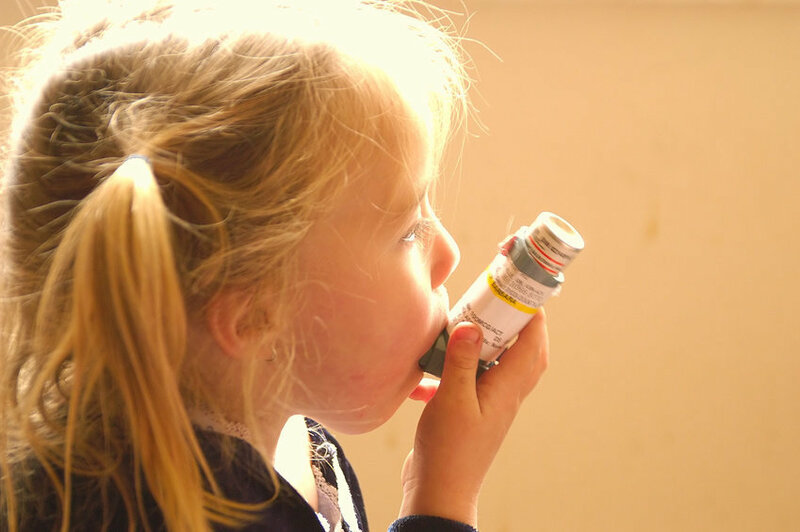 In the past asthma was undoubtedly underdiagnosed, but the evidence now is that the pendulum has swung too far in the opposite direction, insist Professor Andrew Bush and Dr Louise Fleming of Imperial College and Royal Brompton & Harefield NHS Foundation Trust, in the journal. It matters, not only because of the cost of inhalers, but also because of their side effects, which are more likely to occur in patients who are prescribed an inappropriate dose, they say. "Inhaled corticosteroids, when properly used, dramatically improve quality of life and reduce the risk of asthma attacks and mortality," they write. Read more: Doctors are over-diagnosing children asthma. he pendulum has swung too far in the opposite direction, insist experts in a new article. Know about gluten and its facts, foods and allergies. Gluten is the general term for a protein found in wheat, barley, rye and triticale. All forms of wheat contain gluten, including durum, spelt and farro. Wheat is commonly found in bread, baked goods, crackers, cereals and pasta. Soups may contain gluten, as well as sauces and salad dressings. Barley is often found in malt, food coloring, soups, malt vinegar and beer. This Knowledge Center article provides further information on gluten, including why some people should avoid consuming it and which foods are known to contain gluten. 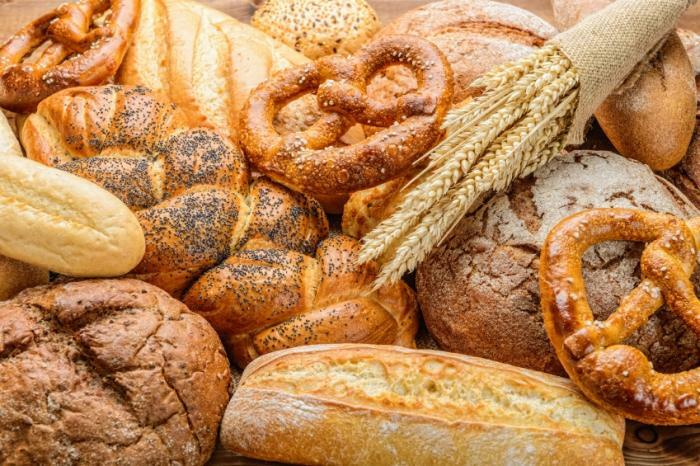 Read more: Know about gluten and its facts, foods and allergies. Atherosclerosis, Rheumatoid Arthritis and Inflammation. Rheumatoid arthritis (RA) has long been associated with increased cardiovascular risk, but despite substantial improvements in disease management, mortality remains high. Atherosclerosis is more prevalent in RA than in the general population, and atherosclerotic lesions progress at a faster rate and might be more prone to rupture, causing clinical events. Cells and cytokines implicated in RA pathogenesis are also involved in the development and progression of atherosclerosis, which is generally recognized as an inflammatory condition. 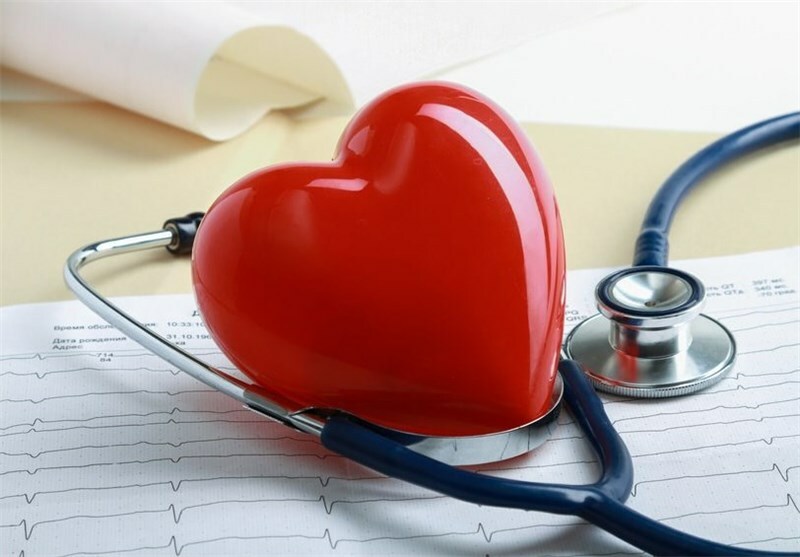 The two diseases also share genetic and environmental risk factors, which suggests that patients who develop RA might also be predisposed to developing cardiovascular disease. In RA, inflammation and atherosclerosis are closely linked. Inflammation mediates its effects on atherosclerosis both through modulation of traditional risk factors and by directly affecting the vessel wall. Treatments such as TNF inhibitors might have a beneficial effect on cardiovascular risk. However, whether this benefit is attributable to effective control of inflammation or whether targeting specific cytokines, implicated in atherosclerosis, provides additional risk reduction is unclear. Further knowledge of the predictors of cardiovascular risk, the effects of early control of inflammation and of drug-specific effects are likely to improve the recognition and management of cardiovascular risk in patients with RA. Rheumatoid arthritis (RA) is associated with a significantly increased risk of cardiovascular mortality, accounted for mainly by increased atherosclerotic disease.1, 2 Although the prevalence of some traditional cardiovascular risk factors is increased in RA, adjustment for these factors does not fully account for the heightened risk, suggesting that RA itself is an independent risk factor for cardiovascular disease (CVD).3 The prevalence of atherosclerosis is increased in RA, even in early disease,4 and chronic inflammation is thought to promote atherosclerosis both by modulation of traditional risk factors and also possibly by direct biological effects on the artery. In this article, we discuss the potential mechanisms that might accelerate atherosclerosis in RA, with a particular focus on inflammation. Read more: Atherosclerosis, Rheumatoid Arthritis and Inflammation. 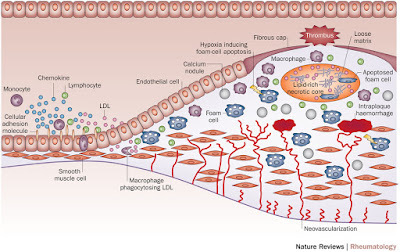 Figure 2: Development of an atherosclerotic plaque. Global epidemiology of gout: prevalence, incidence and risk factors. Gout is a crystal-deposition disease that results from chronic elevation of uric acid levels above the saturation point for monosodium urate (MSU) crystal formation. Initial presentation is mainly severely painful episodes of peripheral joint synovitis (acute self-limiting 'attacks') but joint damage and deformity, chronic usage-related pain and subcutaneous tophus deposition can eventually develop. The global burden of gout is substantial and seems to be increasing in many parts of the world over the past 50 years. However, methodological differences impair the comparison of gout epidemiology between countries. 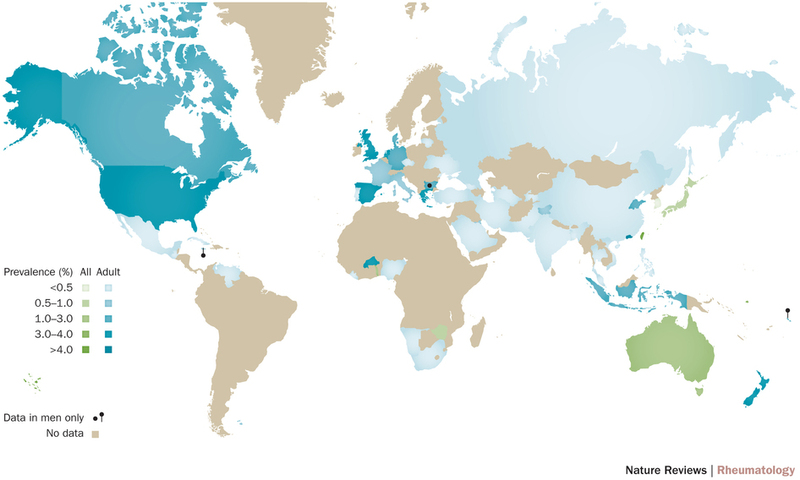 In this comprehensive Review, data from epidemiological studies from diverse regions of the world are synthesized to depict the geographic variation in gout prevalence and incidence. Key advances in the understanding of factors associated with increased risk of gout are also summarized. The collected data indicate that the distribution of gout is uneven across the globe, with prevalence being highest in Pacific countries. Developed countries tend to have a higher burden of gout than developing countries, and seem to have increasing prevalence and incidence of the disease. Some ethnic groups are particularly susceptible to gout, supporting the importance of genetic predisposition. Socioeconomic and dietary factors, as well as comorbidities and medications that can influence uric acid levels and/or facilitate MSU crystal formation, are also important in determining the risk of developing clinically evident gout. Gout is the most common form of inflammatory arthritis and is caused by chronic elevation of serum uric acid (SUA) levels above the saturation point for monosodium urate (MSU) crystal formation. The deposition of MSU crystals, which occurs predominantly in peripheral joints and surrounding tissues, defines gout. The characteristic presentation is of rapidly developing monoarticular synovitis in peripheral joints (an acute 'attack') that is extremely painful but self-limiting, with resolution within several days or 1–2 weeks. However, long-term deposition of MSU crystals can result in joint damage and disfiguring subcutaneous tophi. In addition, gout is also associated with many conditions that affect longevity and well-being,1 such as metabolic syndrome,2 cardiovascular diseases3, 4, 5, 6 and renal diseases. In particular, gout is increasingly recognised as an independent cardiovascular risk factor. Read more: Global epidemiology of gout: prevalence, incidence and risk factors. Figure 1: The estimated prevalence of gout across the world. A structural basis to stone formation in gout. The mechanisms and sites of monosodium urate monohydrate (MSU) crystal deposition in gout have received little attention from the scientific community to date. Formalin fixation of tissues leads to the dissolution of MSU crystals, resulting in their absence from routinely processed pathological samples and hence neglect. However, modern imaging techniques—especially ultrasonography but also conventional CT and dual-energy CT—reveal that MSU crystals form at the cartilage surface as well as inside tendons and ligaments, often at insertion sites. Tophi comprise round white formations of different sizes surrounded by inflammatory tissue. Studies of fibres recovered from gouty synovial fluid indicate that these fibres are likely to be a primary site of crystal formation by templated nucleation, with crystals deposited parallel to the fibres forming transverse bands. In tophi, two areas can be distinguished: one where crystals are formed on cellular tissues and another consisting predominantly of crystals, where secondary nucleation seems to take place; this organization could explain how tophi can grow rapidly. From these observations based on a crystallographic approach, it seems that initial templated nucleation on structural fibres—probably collagen—followed at some sites by secondary nucleation could explain MSU crystal deposition in gout. Gout is characterized by deposits of monosodium urate monohydrate (MSU) crystals, a consequence of hyperuricaemia—serum uric acid levels raised above normal and sodium urate reaching a concentration above supersaturation. Usually, crystals are formed in joints and periarticular tissues, the magnitude of the deposit growing and extending to other sites whilst hyperuricaemia persists. The mechanisms of pathological formation of MSU crystals on tissue have received scant attention to date. In this Review, we take a correlative structural approach to explore possible mechanisms of MSU crystal formation in gout on the basis of morphological findings. Read more: A structural basis to stone formation in gout. Figure 3: Formations of MSU crystals in tophi. Disposing HIV from human immune cells with new gene-editing technique. They've managed to shut down HIV replication permanently. If you haven’t heard of the CRISPR/Cas9 gene-editing technique before, get ready to hear a whole lot more about it in 2016, because it’s set to revolutionise how we investigate and treat the root causes of genetic disease. It allows scientists to narrow in on a specific gene, and cut-and-paste parts of the DNA to change its function. CRISPR/Cas9 is what researchers in the UK have recently gotten approval to use on human embryos so they can figure out how to improve IVF success rates and reduce miscarriages, and it’s what Chinese scientists were caught using in 2015to tweak human embryos on the down-low. Earlier this year, scientists started using CRISPR/Cas9 to successfully treat a genetic disease - Duchenne muscular dystrophy - in living mammals for the first time, and now it’s showing real potential as a possible treatment for HIV in the future. Read more: Disposing HIV from human immune cells with new gene-editing technique. Novel Biotechnology Enables Analysis of Mitochondrial Damage Induced by Drug Toxicity. Mitochondrial dysfunction plays a critical role in the development of chemical and pharmaceutical toxicity. However, current methods to evaluate mitochondrial activity still rely on traditional tests called endpoint assays, which provide limited prognostic information. Scientists, however, from The Hebrew University of Jerusalem have described a new generation of Liver-on-Chip devices, in which the researchers add glucose and lactate microsensors, allowing them to measure minuscule changes in central carbon metabolism in real time (seconds to minutes). Their microfluidic platform is composed of submillimeter human tissues, which are characterized as "bionic" because they contain optoelectronic sensors for oxygen and are maintained under conditions simulating the human physiological environment. The platform includes a computer-controlled switchboard and permits the automated measurement of glucose and lactate using clinical-grade microsensors. The sensor-integrated platform permits real-time tracking of the dynamics of metabolic adaptation to any type of mitochondrial damage for over a month in culture. The team's study ("Real-time Monitoring of Metabolic Function in Liver-on-Chip Microdevices Tracks the Dynamics of Mitochondrial Dysfunction") appears in the Proceedings of the National Academy of Sciences. 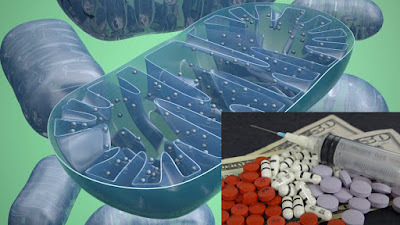 Read more: Novel Biotechnology Enables Analysis of Mitochondrial Damage Induced by Drug Toxicity. 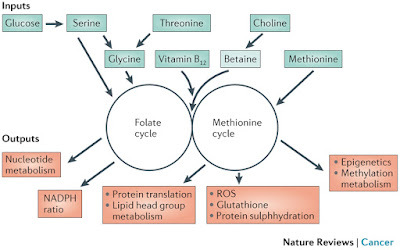 One-carbon metabolism involving the folate and methionine cycles integrates nutritional status from amino acids, glucose and vitamins, and generates diverse outputs, such as the biosynthesis of lipids, nucleotides and proteins, the maintenance of redox status and the substrates for methylation reactions. Long considered a 'housekeeping' process, this pathway has recently been shown to have additional complexity. Genetic and functional evidence suggests that hyperactivation of this pathway is a driver of oncogenesis and establishes a link to cellular epigenetic status. Given the wealth of clinically available agents that target one-carbon metabolism, these new findings could present opportunities for translation into precision cancer medicine. Cell growth and proliferation require the construction of building blocks for new cellular components, including proteins, lipids and nucleic acids, as well the maintenance of cellular redox status, and genetic and epigenetic status. Amino acid metabolism involving serine and glycine, and the carbon units that they provide, satisfies many of these requirements. 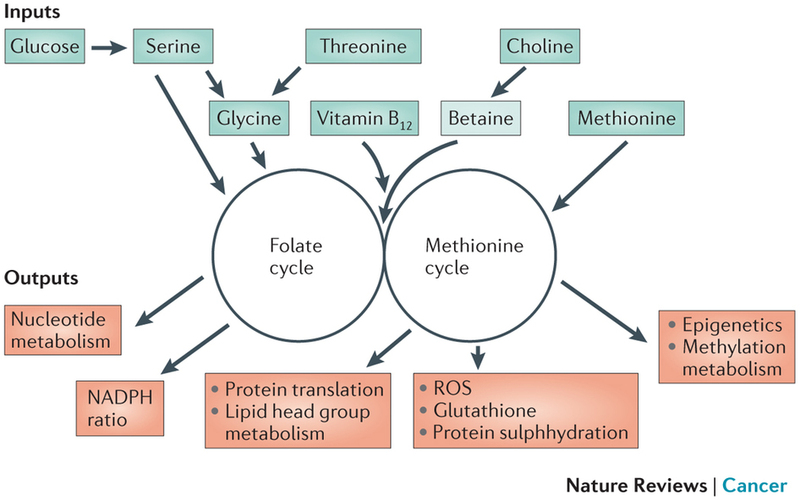 One-carbon metabolism encompasses a complex metabolic network that is based on the chemical reactions of folate compounds. These reactions proceed in a cyclical nature during which a carbon unit is transferred to other metabolic pathways and is eventually replenished by several sources. Modern cancer therapy partly arose from the hypothesis that antagonists of folates could reduce the proliferation of malignant blood cells. The antagonism of folate metabolism and its downstream effectors, such as nucleotide metabolism, has been used in chemotherapy for more than 60 years. Tumour metastasis, the movement of tumour cells from a primary site to progressively colonize distant organs, is a major contributor to the deaths of cancer patients. Therapeutic goals are the prevention of an initial metastasis in high-risk patients, shrinkage of established lesions and prevention of additional metastases in patients with limited disease. Instead of being autonomous, tumour cells engage in bidirectional interactions with metastatic microenvironments to alter antitumour immunity, the extracellular milieu, genomic stability, survival signalling, chemotherapeutic resistance and proliferative cycles. Can targeting of these interactions significantly improve patient outcomes? In this Review preclinical research, combination therapies and clinical trial designs are re-examined. Metastases, or the consequences of their treatment, are the greatest contributors to deaths from cancer. Clinical metastatic disease results from several selective forces. Pathways that fuel initial tumorigenesis, described as the 'trunk' of a cancer evolutionary tree, can also endow tumour cells with metastatic properties and de novo drug resistance. Two types of 'limb' pathway emerge from the tree trunk: events that induce acquired resistance to therapy and pathways that induce or accelerate metastasis to distant organs1. 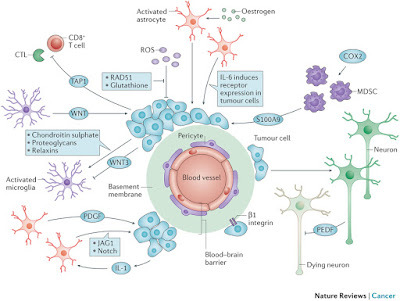 Cancer therapy has largely concentrated on druggable targets in the trunk tumorigenesis pathways, such as receptor tyrosine kinases, and uses sequential and combination therapies to minimize drug resistance. 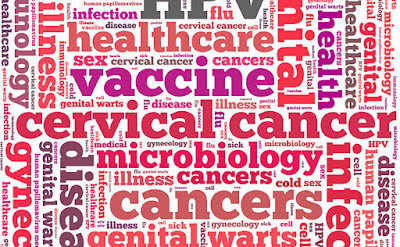 How to Reduce Your Risk for Cervical Cancer? Cervical cancer, once the leading cause of cancer deaths among U.S. women, is no longer so common. The number of cases has plunged 74% in the past four decades. And the rate of new diagnoses is still dropping 4% each year. The dramatic turnaround is thanks to Pap smears, which can detect precancerous cells so that they can be treated and cured, according to the National Institutes of Health. Yet doctors still can’t agree on when you should get your first Pap test, how often you should have it and whether that screening should now be replaced by a human papillomavirus (HPV) screening test. Some experts claim that the new test, recently approved by the FDA, can catch more women at risk for cervical cancer, and earlier, than the Pap smear. 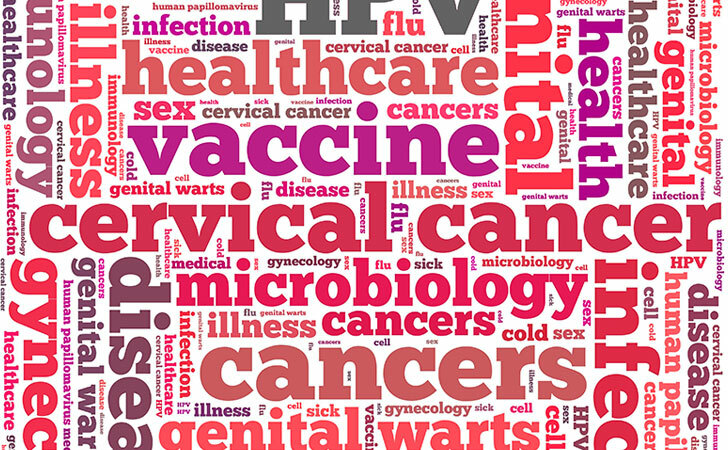 Read more: How to Reduce Your Risk for Cervical Cancer? High troponin levels may account for mental stress ischemia in cardiac patients. Cardiologists at Emory University School of Medicine have discovered that people in this group tend to have higher levels of troponin -- a protein whose presence in the blood that is a sign of recent damage to the heart muscle-- all the time, independently of whether they are experiencing stress or chest pain at that moment. The results are scheduled for presentation by cardiology research fellow Muhammad Hammadah, MD at the American College of Cardiology meeting in Chicago on April 3, as part of the Young Investigator Awards competition. Hammadah works with Arshed Quyyumi, MD, and Viola Vaccarino, MD, PhD, and colleagues at the Emory Clinical Cardiovascular Research Institute. "Elevated troponin levels in patients with coronary artery disease may be a sign that they are experiencing repeated ischemic events in everyday life, with either psychological or physical triggers," Hammadah says. Video source: High troponin levels may account for mental stress ischemia in cardiac patients. New nanoparticle 'cluster bombs' could make chemotherapy less toxic. Chemotherapy is one of the key weapons in our fight against cancer, but it comes with a whole host of unwanted side effects and damage to the surrounding, healthy areas of the body. So an international team of researchers has come up with what they think could be a much less toxic way of delivering the treatment, and it's based around 'cluster bombs' of nanoparticles. The new procedure is designed to improve the delivery of the chemotherapy drug cisplatin. It works using tiny nanoparticles, just 100 nanometres wide, which are loaded with drugs and transported to the tumor site through blood vessels. Once they reach their destination, the acidic environment around the cancer cells causes them to break up into 5-nanometre-wide particles, which can then move inside the tumor cells. At this point, the cisplatin can do its work from inside the tumor cells, damaging the cancerous DNA to effectively kill them off. To give you some idea of the scale, you can fit a million nanometres inside a millimetre. In tests on lab mice, the teams from Emory University in the US and the University of Science and Technology of China found that the concentration of cisplatin that reached the tumors was seven times higher than normal. And if more of the drug is reaching its intended target, that means less of it is leaking out into the rest of the body, so unwanted side effects are reduced. Video source: New nanoparticle 'cluster bombs' could make chemotherapy less toxic. HIV life cycle -- how HIV infects a cell and replicates itself using reverse transcriptase and the host's cellular machinery. From the 2007 Holiday Lectures. AIDS -- Evolution and Epidemic. Howard Hughes Medical Institute, HHMI's BioInteractive Animations. Metabolic Diseases Could be Promoted by 'Unhealthy' Microbiomes. Trillions of bacteria surround us, permeate us, and bind our bodies together. They affect our immune systems and our brains, they shift and change with our diet, and some researchers suspect that these microbial multitudes may be an important link between our modern lifestyle and ongoing epidemics of diseases such as asthma, obesity, and diabetes. Leading microbiome researchers recently came to UC San Francisco to share the newest insights about how improving our relationship with our bodies’ microbial ecosystems could be the next big breakthrough in treating metabolic disease. One major theme of the symposium – hosted by theUniversity of California Sugar, Stress, Environment, and Weight (SSEW) Center – was the question of whether the troubling modern epidemic of metabolic disease may arise in part because our civilization has not been kind to our microbes. Read more: Metabolic Diseases Could be Promoted by 'Unhealthy' Microbiomes. Novel Blood Test Diagnoses Alzheimer's At Early Stage. 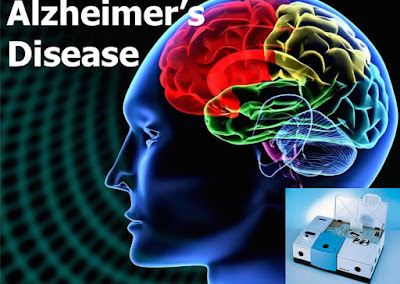 A blood test has been developed that may potentially facilitate detection of Alzheimer's disease at an early stage and it is based on an immuno-chemical analysis using an infrared sensor. 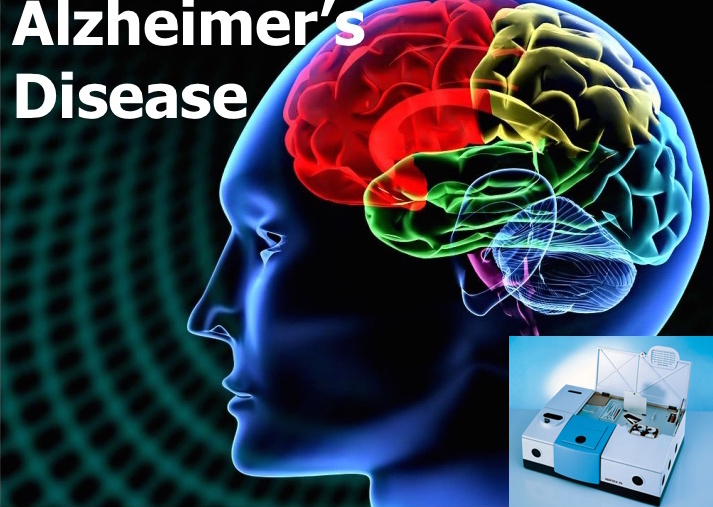 A major problem of Alzheimer's disease (AD) diagnosis is the fact that, by the time the first clinical symptoms appear, massive irreversible damage to the brain has already occurred and at that point, symptomatic treatment is the only available option. 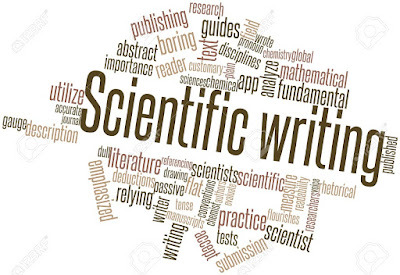 Scientists at the Ruhr-University Bochum (Germany) and their colleagues analyzed the secondary structure of Amyloid-beta (Aβ) peptide in cerebrospinal fluid (CSF) and blood plasma of 141 patients which was measured with an immuno-infrared-sensor. The sensor's surface is coated with highly specific antibodies which extract biomarkers for Alzheimer's from the blood or the CSF, taken from the lower part of the back. The infrared sensor analyses of the biomarkers showed pathological changes, which can take place more than 15 years before any clinical symptoms appear. Read more: Novel Blood Test Diagnoses Alzheimer's At Early Stage. Anemia is a condition characterized by an inadequate amount of red blood cells, which are produced in your bone marrow. Red blood cells contain hemoglobin, a substance that picks up oxygen from your lungs, carries it throughout your body, and gives it to your cells. Your cells need oxygen to perform the basic functions that generate energy and keep you alive. In addition, hemoglobin picks up some of the carbon dioxide given off by your cells and returns it to the lungs, where it is exhaled when you breathe out. 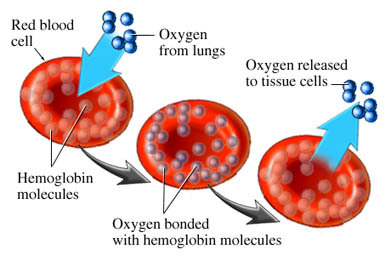 Without enough red blood cells to transport oxygen to your cells and carbon dioxide away from your cells, your body functions at a less than optimal level. If you are bleeding heavily, you will rapidly become anemic and may develop severe symptoms including shock. Slower leakage of blood that you are unaware of, such as bleeding from a stomach ulcer or from colon cancer , can also exceed your bone marrow’s ability to replace blood supplies, eventually resulting in anemia. 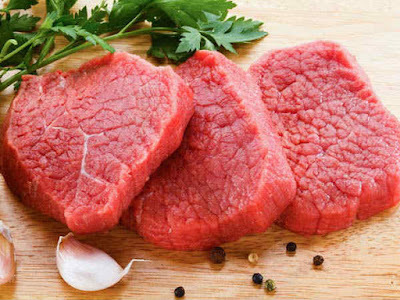 Dietary intake of iron, folic acid, and vitamin B 12 are necessary for red blood cell formation. Deficiencies of these nutrients can impair bone marrow function, thus reducing production of adequate numbers of red blood cells. In addition, cancers, certain drugs and toxins, allergic reactions to medicines, and chronic illness can cripple the bone marrow so that it makes defective or insufficient red blood cells. Hereditary defects, such as sickle cell disease , also may lead to anemia. When the bone marrow fails completely the condition is known as aplastic anemia.